How can I export or print a team sheet? 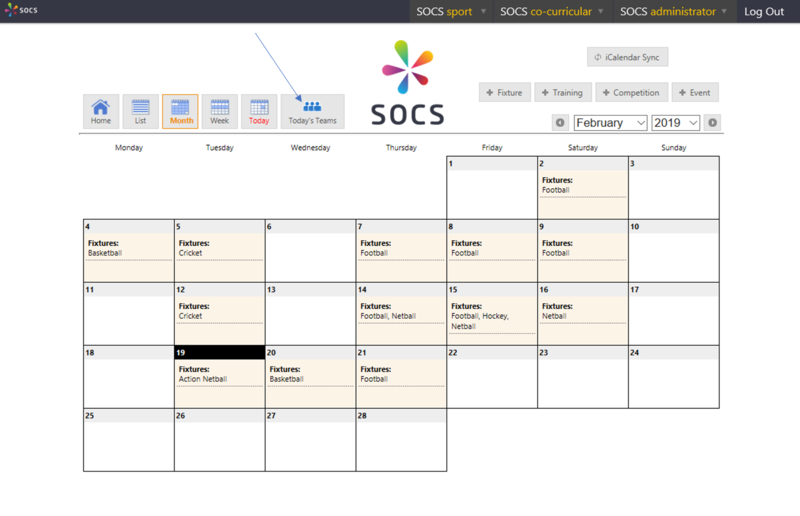 Ensure you are logged on to your SOCS control panel. Option 1. Click the export to Word button located in the top right corner of the team sheet. This exports the team sheet to Word, where you can edit and save and then print or send as an attachment via email. Option 2. Print the team sheet directly, (rather than exporting to Word). To do this either select the print button - indicated by the red arrow in the screen shot or right click anywhere on a team sheet and then use the usual print option which are available in your web browser. If you select the print preview option you can also adjust the top/bottom margins, which “might” help resolve paging issues. Option 3. 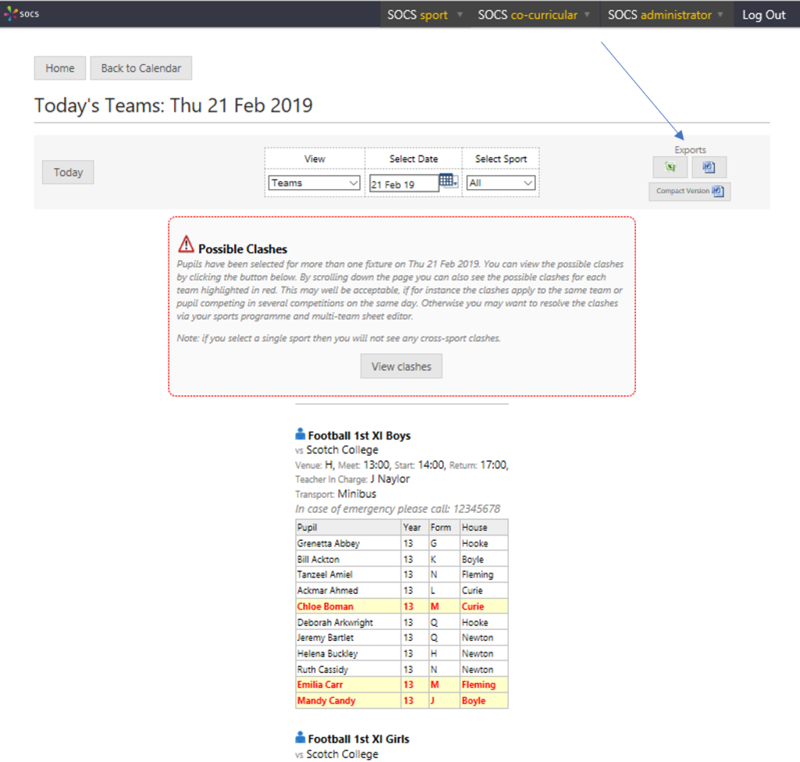 Select the details directly from the team sheet you want (using your mouse) and then copy and paste directly into your word processor or into an email. Option 4. Navigate to Today's Teams from the Sports Calendar (highlighted by the red arrow in the screenshot below). From the Today's Teams screen use the export buttons (highlighted by the red arrow in the screenshot below). We recommend that you resolve any clashes before exporting and printing. 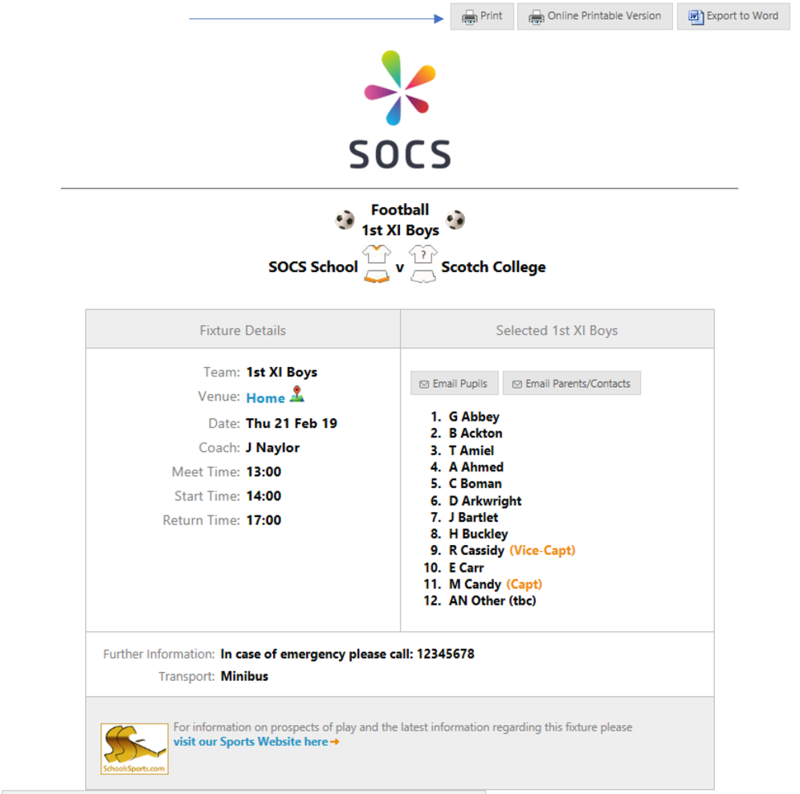 For individual (non-team multi-event sports), such as rowing and athletics, if you have added the events then each pupil will be listed as shown in the screenshot. Alternatively if you have just added a squad list then this will be shown instead.